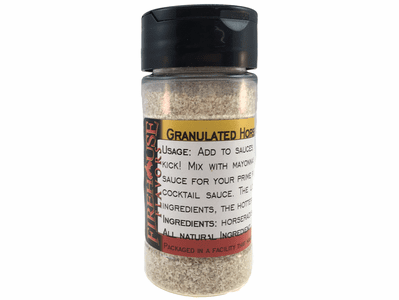 Product Details: Add dried and granulated horseradish root to sauces, dips, spreads and gravies for a little extra kick. Mix with sour cream or mayonnaise for a creamy horseradish sauce for your prime rib. Stir into ketchup to make cocktail sauce. Hint: the longer it's incorporated into wet ingredients, the hotter it gets. Our Spice Jar (containing 2.12 ounces / 60 grams of product) is clear plastic with a black cap featuring a removable safety seal and two flip-top openings, one large enough for a measuring spoon and the other with sprinkle holes. 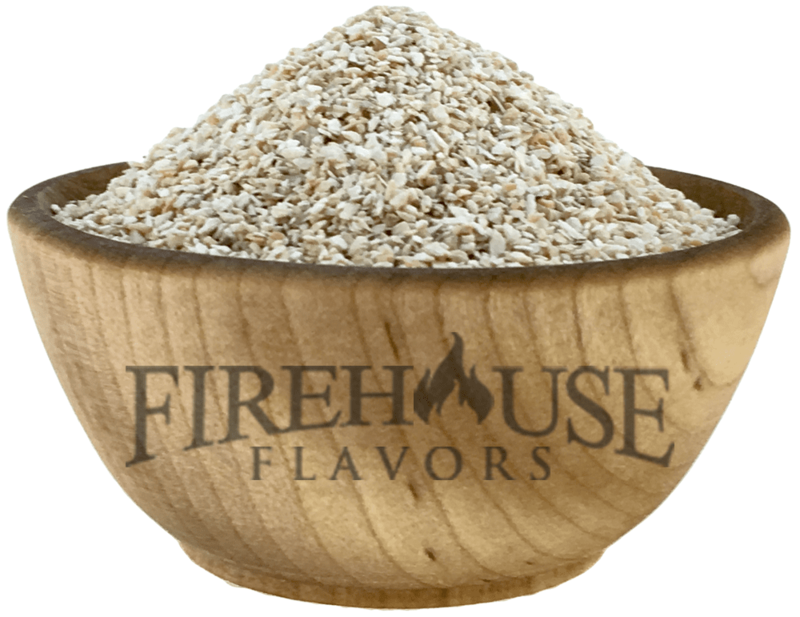 Ingredients: horseradish. All natural ingredient. Packaged in a facility that also handles wheat, milk, soy, egg, sesame, peanuts, and tree nuts.